The 2 1/2 hour train journey cut through some very scenic parts of Austria and seeing the rolling hills and gingerbread houses that dotted the countryside really set the right note. 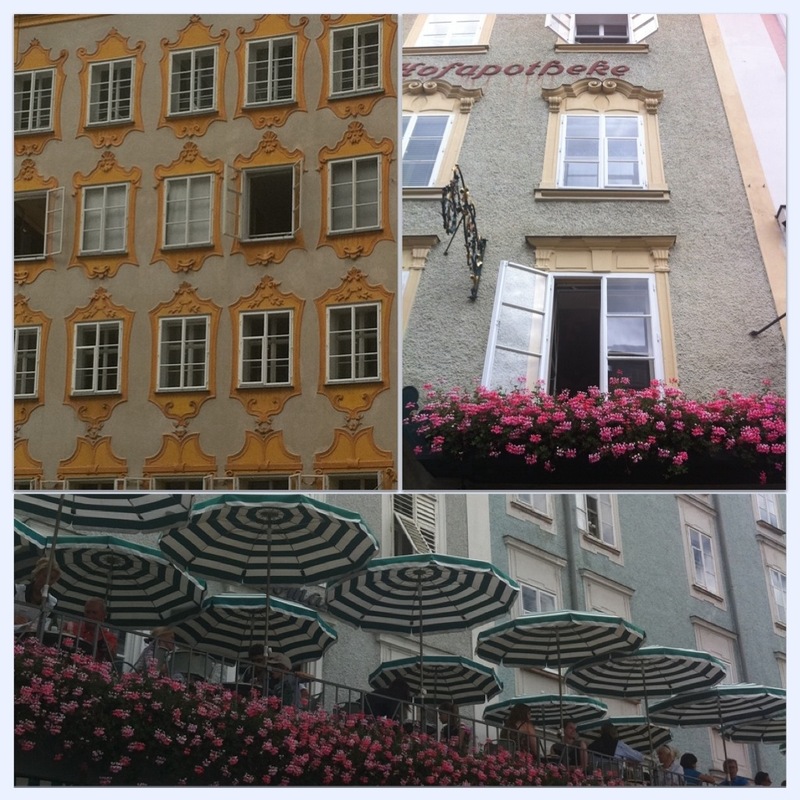 I was singing all the Von Trapp tunes to myself the entire journey! It’s a small and quaint old town…music is an important part of life here…concerts occur daily and today is no exception! 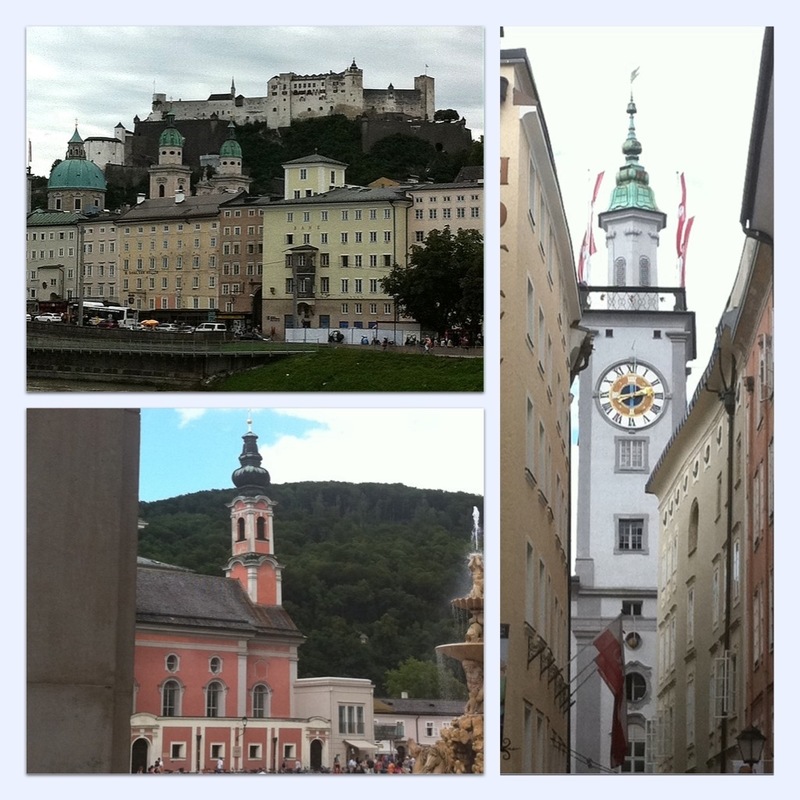 Girls walking around in dirndls, men in Lederhosen, and skilled violinists mix among tourists in awe. Many just linger at picturesque cafes for hours just taking it all in! 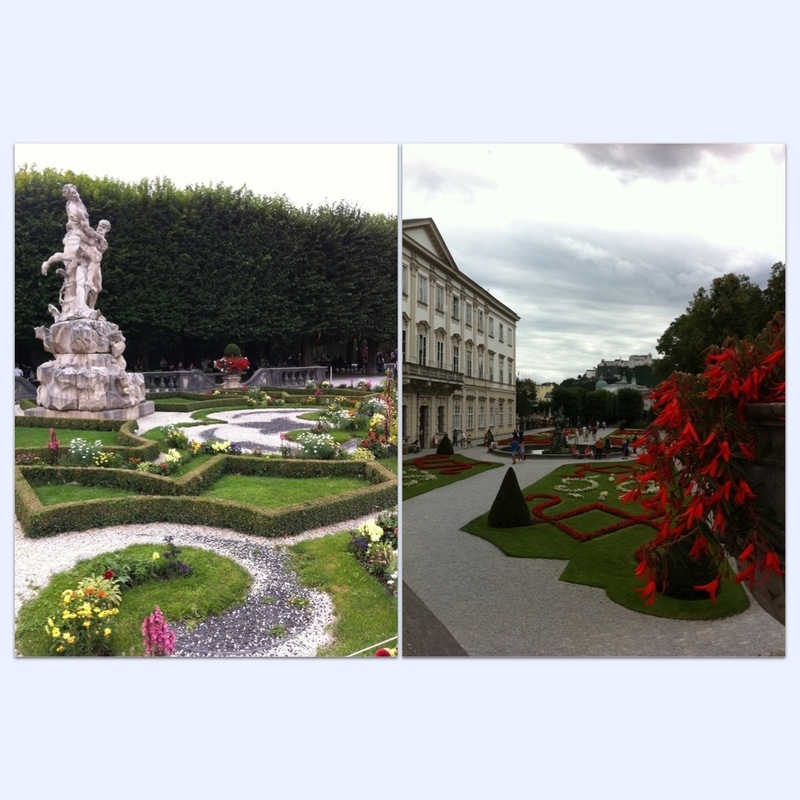 I walk to the perfectly manicured Mirabell Gardens, where the Von Trapp children learned to sing, and then along the ritzy shopping street Getreidesgasse admiring Christmas decor and Easter ornaments. 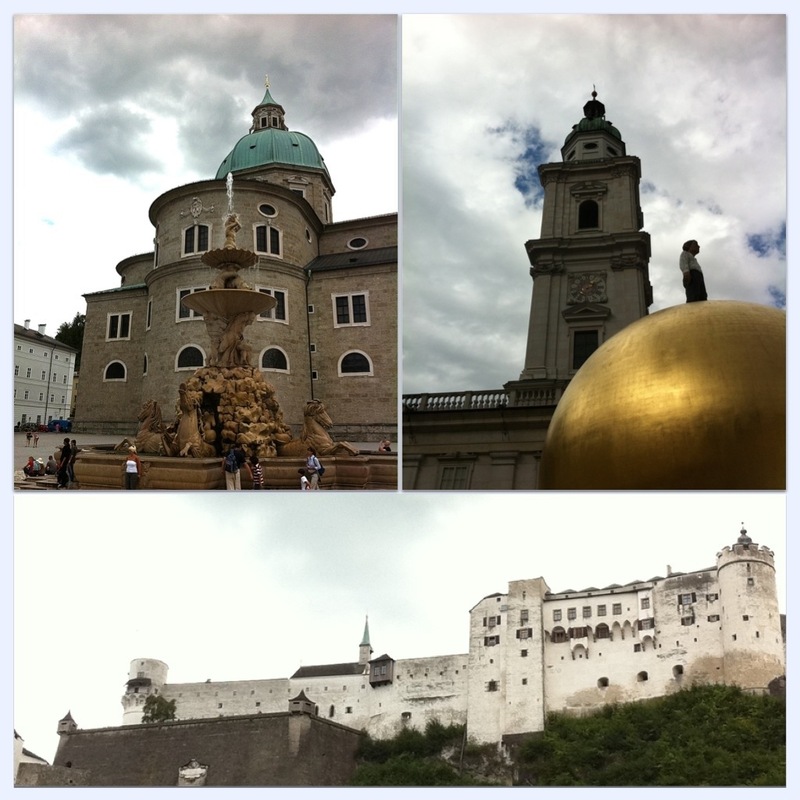 I look up and see the castle-like fortress, Festung Hohdnsalzburg…from where you can see the famous nunnery from the film as well. What a joy! 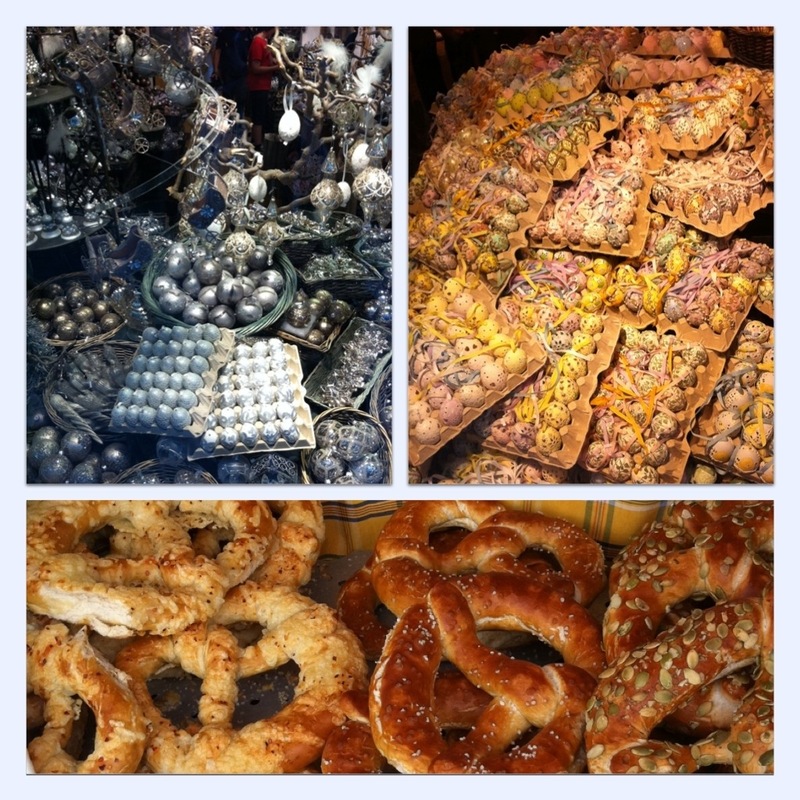 To make things even better, Salzburg is home to every imaginable pretzel! Huge pretzels: traditional, chocolate, cheese, you name it…I end my storybook day with a huge cheese pretzel…I hear the horse drawn carriages tap by and the sounds of music in the distance and call it a day…a very magical one! « Older Post Works of Art! 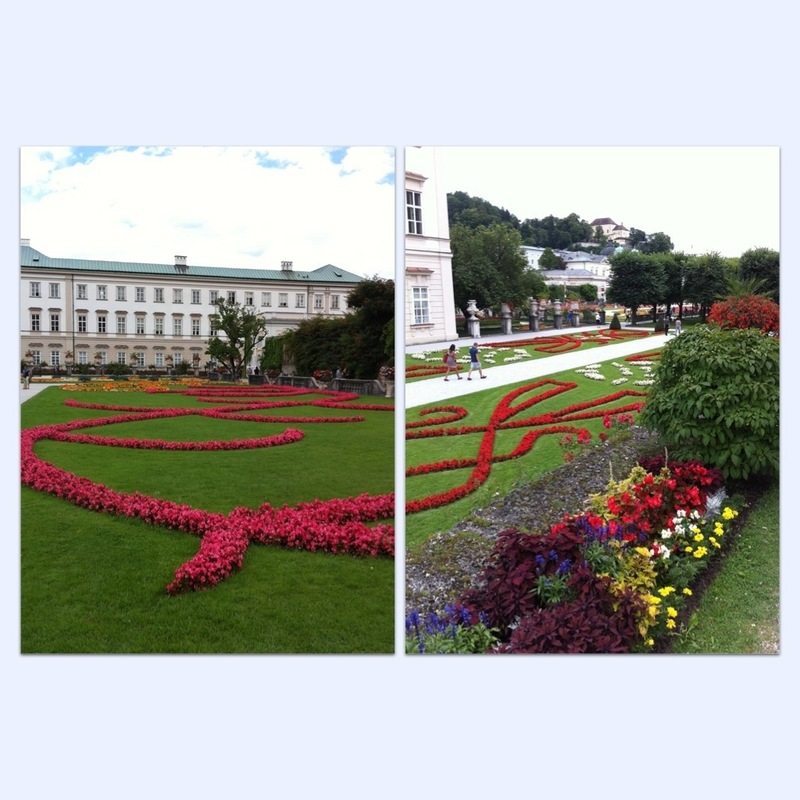 » Newer Post Danube Dreams! Hope your trip was fabulous! Meeting Christine soon for next chapter of the trip!